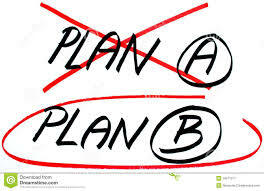 I thought I’d do a pre-Christmas post about sticking to the plan when writing. Or not. You see I’ve found it hard to stick to the plan for my current story Teaching Mr Leavis (a romance). In the past when I’ve begun working on a story, I’ve made a plan and mostly stuck to it. Not so with this story. This time, for some reason, I’ve veered quite far from the plan. This has brought opportunities and complications. I’ve found that as regards the plot, I floundered quite a bit after the beginning. I kind of had an idea for the end (although that too has now changed), but I had no clue as to what should happen in the middle of the story. Which obviously creates a problem. The thing is I’d only semi-planned what should happen in the middle of the story and when the story began to unfold in a very different way to what I’d initially planned, it was hard for me to rein it in, if you like, and bring it back to what I’d originally planned. So I didn’t. I just went with the flow and although it’s been quite exciting, I would say that next time I’d rather stick a bit more closely to the plan. Because the thing is, despite appearances to the contrary, I’m a plotter not a pantser and while it was exciting to have the characters move the plot along in ways I couldn’t have expected, I also felt rather lost. In general I’m a highly organised person. So when things don’t go according to plan, that can feel a little strange for me! But I’m the first to admit it has been interesting writing this story and doing it a bit more by the ‘seat of my pants’! I’ve been able to develop characters and change aspects of their natures. I’ve thought more about what really works in a romance,what readers of romance expect when they read one, and how I can fulfill their expectations. The main problem I’ve found by not sticking to the plan is that the story is a lot shorter than I’d envisaged. I was initially aiming for around 70,000 words and it’s come out about 20,000 words short. I don’t think this is necessarily a problem though. I don’t know if you’ll agree with this, but it seems to me that ebooks can be virtually any length, that really anything goes. That’s just what I’ve surmised over the past couple of years through blogging and interacting with other authors, as well reading other indie authors’ books. To conclude then I would say that for me as a writer, I work better and more productively when I have a more coherent plan to begin with. I would never say that I would stick religiously to it, but a good plan helps give the story I’m writing a good backbone, a good skeleton on which to build the flesh of my narrative. But writing Teaching Mr Leavis has definitely been an interesting process to explore what works for me as a writer. So over to you. Are you a plotter or a pantser or a bit of both? How do you tackle the whole writing process? This is indeed a great title to stay focus and accomplish! Plotter, but I factor in pantsing when I’m writing. I tend to think about what I’m about to write for about 10-15 minutes at least before starting up. Helps get my mind into the scenario. Merry Christmas. I’ve become an open-ended sort of plotter, before I start writing. Once in, though, I take a cue from our unschooing life – every day, I see my kids learning and doing things I would never have thought to put in a lesson plan, if my goal were to “teach” them, rather than to facilitate their learning. So, once I start writing, when I get to that point where the characters breathe and live for themselves – I let them. I trust them, even when it means I wander around for a while here and there, lost and wondering what’s going to happen next, and if I’ll ever get back to the plan…. But when I go back and compare the plan and what the characters created, theirs is always better. I love that, when drafting, all kinds of things happen that I never saw coming! Hi Shan, thanks for your comment, good to hear from you and have your thoughts. That’s an interesting way of looking at it. It’s lovely that you find your characters lead the way when it comes to how the plot unfolds in your stories. I’m a character-driven writer (probably comes from a lifetime of wanting to crawl inside other people’s skins and know what their lives are – really know. One reason I love the Vulcans is that their experiences of life is inherently different – and yet, not so very different that it’s utterly alien to us. Pairing a Vulcan with a more human companion provides ample tension and conflict! For me, writing is essentially telling my characters’ stories with integrity. Without the characters, I don’t have a story, because what I always get first are situations and dialogue that are character-specific. When the characters have taken over, and I’ve wandered a while as they struggle through their lives – then, there’s this moment of deep and absolute truth. It’s never what I expected; often, it scares me to write it, because these are the moments that change lives forever…and they remind me powerfully of those moments in my ow life…usually not comfortably. But what emerges from those moments – it’s always something I wouldn’t have dreamed of, when I was planning the story, and, for me, it’s what gives the story life, and why I write fiction to begin with! I find it fascinating to learn how others approach their writing. There’s always something to learn, and discover. So happy you shared this post, so I could learn more about you!